Estella's Revenge: Five of the Oldest Books on My To-Read List! Five of the Oldest Books on My To-Read List! I keep a Goodreads wishlist/TBR, and it's just slightly out of control. You feel me, right? I figure we all have this problem lurking SOMEWHERE. On Goodreads, a spreadsheet...whatever. These are five of the oldest books on that list. I think they were added way back in 2007 when I first became a Goodreads user. Angela's Ashes is one of those heartrending memoirs that EVERYONE has read. Except me. 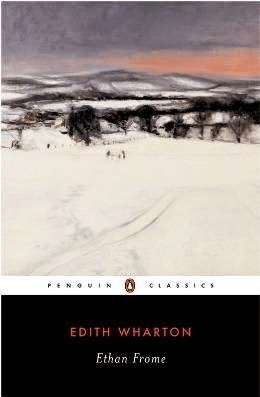 Ethan Frome is one of those classics that everyone had to read in school. EXCEPT ME! I own it in a beautiful Penguin English Library edition, so I have no more excuses. The Amazing Adventures of Kavalier and Clay is one of those books that sends me down a shame spiral. It's one of Heather's favorites, and no matter how many times I say I'm going to read it...do I? Why, no! The Count of Monte Cristo is a book that beat me when I undertook it for a readalong. I hope this beautiful edition, which I purchased, will make me read it sometime. Plain Truth is a book I no longer have an interest. And I should point out...I do still have a genuine interest in reading most of these. That doesn't mean I will, but Jodi Picoult can definitely go. What are some of the oldest books on your TBR (list or physical stack...anything goes)? I lose interest, too. I really need to clean out more often so I always have an up-to-date list. Yikes! I think we could be TBR sisters. I have had Angela's Ashes and The Amazing Adventures of Kavalier and Clay on my TBR for so long that it doesn't even make sense. I should just go ahead and remove them I think. Right on! I really want to read Kav and Clay, but for some reason its size intimidates me. Not sure why that's the case with THIS book. Go easy on yourself. Declutter. Just click away and toss them onto your may never read, may never even think about again pile.Angela's Ashes was big when it came out and Ethan Frome is a book teachers assign because it is short. 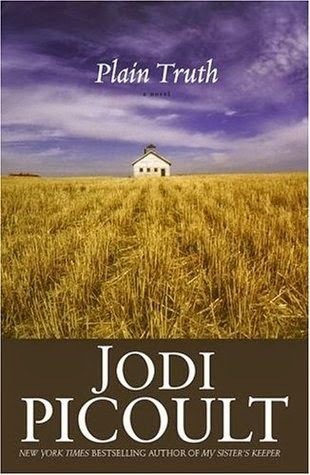 Jodi Picoult I would never worry about. Everybody's going to have gaps. Oh I'm definitely not stressing about them. They've been there so long, they're like old friends or furniture. :) I do have an interest in reading them still, or I would've gotten rid of them. In fact, the Picoult is already gone, but I forgot to take it off my Goodreads list. Not very good with upkeep there. I read Plain Truth a long time ago...it was actually an interesting look at Amish life and beliefs, but I'm not sure what I would think of it now. I read it when I was much younger and liked different types of books than I do now. The Amish part was what originally hooked me because I'm fascinated with that culture. As I've grown though, I've gotten it into my head that I won't enjoy Picoult. Could totes be wrong! I've definitely had Angela's Ashes (and Teacher Man!) for ages...though I'm almost certain I'll never get to them. I absolutely hated Ethan Frome in school, but I don't know how I'd feel about it today. It's so short, I'm gonna dive into Ethan Frome. It seems to be one of those love or hate books, and I want to know where I fall. As for Angela's Ashes, I may never get around to it. Not too worried about it. 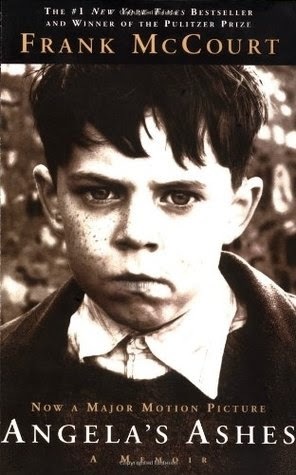 Angela's Ashes is still worth reading! I did like Plain Truth, but it's not a must-read. I also enjoyed The Count of Monte Cristo. Thanks, Naomi! I'll keep Angela and Count on the list! I think once upon a time I had ANGELA'S ASHES on my list and also the Michael Chabon book, but no, not now. I think I might have read PLAIN TRUTH - Amish setting, right? YES! I've done that a few times. I usually end up going for the ebook when my interest comes back. lol And yes, Plain Truth is the Amish setting. That's what originally got me interested. I tried to read Angela's Ashes and couldn't do it. Just too bleak and depressing and at the time of life I was reading it, I didn't need to read it. Ethan Frome bored me to tears, but I was very young when I read it. I was there when you got the Count!!! Woot! And bleh. Jodi Picoult. That's what I hear. Some people love it and some hate, but that mention of bleakness ALWAYS surfaces. LOL to all your other commentary. "Bleh" to Jodi Picoult is my general feeling. It definitely looks to be a quick read. Maybe I'll whip it out on a weekend when my time is unlimited. Kavalier and Clay has been on my to-read list forever as well. I would definitely suggest reading Ethan Frome; I loved it! I will! And maybe this calls for a Kav and Clay Readalong. I need motivation. Angela's Ashes made me cry so much! Also because my mother's name is (was? I don't know :S) Angela. I feel you for the TBR list, I made a Own-but-haven't-read-yet list to try to help me tackle at leas the one that are physically waiting in my shelves to be read, and it sort off helped. That would probably do it for me re: same name. I'm glad your list helped! I need to go on a reading diet and do only TBR for a month or two. Ethan Frome! I read it in high school, but my most vivid memory of it is how FUNNY my ex found the plot line. Perhaps that's part of why he's my ex? Ditto on Kavalier & Clay (gimme all the golems!) and Count of Monte Cristo. 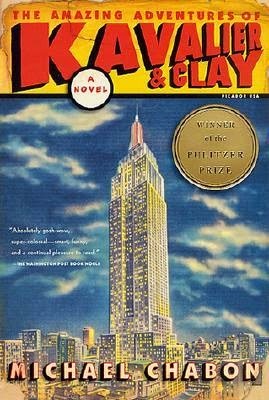 I made my husband read The Amazing Adventures of Kavalier and Clay and he liked it, but I still haven't. I am not sure what my oldest TBR books are in terms of how long I have read them, but I know there are many that would qualify. Ha! Sounds like something I would do. I made my hubs read Game of Thrones and I still haven't. I've done a good bit of culling as of late, too. I think the last round was 70+ books. They're still in my garage and need to go to the used bookstore. For you Andi, I will look back at page 1 of my tbr Word document! I have Skippy Dies, Wolf Hall, and Jennifer Egan's The Keep. LOL, we all do. There's no getting around it! And I think all of those are on my own spreadsheet...err Goodreads. I don't even know what the oldest on my TBR is and I'm not sure I want too. You're a brave woman for attempting Angela's Ashes. All the feels on that one! I'm not a Jodi Piccoult lover so I understand dropping that one. 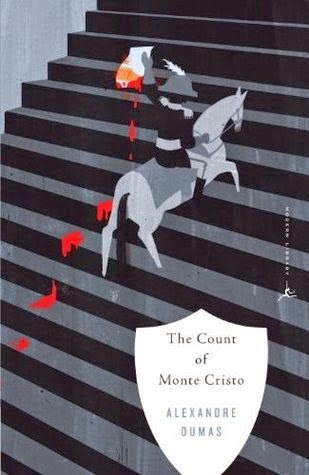 Count of Monte Christo just recently got added to my TBR. I'm looking forward to it. Great list! One day for Angela's Ashes...one day. Count is SO FREAKING BIG. I'm gonna need anti anxiety meds. I can relate to this so much! Last year, I finally read the oldest book on my TBR (I had purchased it in 1989!). It was Empire of the Czar by the Marquis de Custine. The thickness of the book and the subject matter intimidated me for years, which is why it sat there so long. It turned out to be really good - and very readable. :) Oddly enough, if I had read it in 1989, I'm not sure I would've had the appreciation for it since I didn't know that much about Russian history in those days. One of the oldest now sitting on my shelf is Hemingway's For Whom the Bell Tolls - clearly it hasn't tolled for me yet, but I hope to get to it this year. That said, I have just chucked some that I looked at and thought, "Really? Did I pay money for this?" :) There is NO GUILT in reading...or not reading. I haven't read Ethan Frome or the Chabon title either. The Count of Monte Cristo is worth the wait, though. DH has been listening to it on audio as he commutes and is loving it. (Audio is 50 something hours) Thanks for sharing! 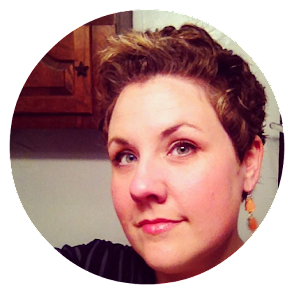 Lindsey's right - pretty much every reader has a crazy TBR. I've read all of those except Kavalier & Clay and loved them... even the Jodi Picoult! Oh yay! I'm glad to know that, JoAnn! I haven't read Angela's Ashes, either. (Shhh, don't tell.) Actually, the only one of these books I have read is Plain Truth, and you are really not missing out on anything. LOL, thanks for letting me know, Leah! Angela's Ashes is on my to-read list too. I think I probably added it the same time you did! I know I have books that have been on my TBR list for much longer, but Anna Karenina is the one that immediately springs to mind when I think about the books I've been meaning to read for seemingly forever. I've got an ebook and physical copy of it, and yet can't manage to get around to it. YES. That one hovers on my own list as well. Those Russians SCARE ME. I don't do Goodreads, but once I went back to look at some of my super old Amazon orders and I saw that some of them had books on them I still hadn't read! Like from five years ago. Oops. That's a great idea! I used to keep an Amazon wishlist, and I bet those books are even older than the ones in my Goodreads. LOL, I know what you mean. I have a few of those books, too, though I've knocked a few off the list in the last few years. I havent read Angela's Ashes. I think I am a little put off by the little man on the front, to be honest. He is sort of menacing! Before Goodreads, I used to keep my TBR list on Amazon. I just went back and looked to see what my first few books were on that wishlist. I don't recognize the first half dozen and wonder why in the world they're on there! I think I added them back when I was on the yahoo groups. Tastes do change, don't they? Angela's Ashes is bleak. I think you're safe to skip it. I can't remember if I've read that particular book by Picoult. I do like her books, but can't read them too close together. I did, too! I totally forgot about that list when I was doing this post. I'm sure those are older books. Tastes definitely do change. I'm afraid to re-read Pope Joan (my favorite from back then) for fear it won't live up to my memory. I think you're safe to re-read Pope Joan! I read it a second time for a f2f book group and loved it even more than the first time around. Angela's Ashes is such a good book! I read it years ago and probably still have my copy of it. I'm glad to know you liked it! That's a vote in its favor! Oh wow! It seems like one that might be up your alley! YES! It lives there. I even bought myself a new, pretty copy in hopes it would tempt me into reading. I've been trying to tame my Goodreads TBR list forever. Lately, I try to pick a random range and see if I still wanted to read that book. If not, I was happy to remove it from my shelf. But for each book I remove, I add many more new books. It's an ongoing task isn't it? And I have the same problem...adding more books for everything I remove. It's an endless cycle. I’ve had Angela’s Ashes on my list forEVER and I’m a little glad I’m not alone in this. Plain Truth is the first Picoult I ever read and I've been hooked on her since. Now, I'd say The Storyteller is probably her best, but there's something about the first Picoult you've ever read that makes me love Plain Truth more. Ethan Frome...trying to get my husband to read more classics once upon a time, he was willing to take on EF because of tis small size. He got to the end and was like, "what the hell are you making me read?" Took awhile before he'd read a recommendation from me again. But I liked it. I read Angela's Ashes long ago and I think it's an experience. Yes, it's bleak but there are rays of humor to it as well. Being Catholic, that backdrop was also interesting and fun for me. I used to love Jodi Picoult and have read your pick and enjoyed her earlier books but have since lost interest and one of her books still remains on my shelf. My favorite of her is Nineteen Minutes. I still talk about that book. I finally got to read The Scarlet Letter which was my Ethan Frome and also The Red Tent which probably at 10+ years has been on my bookshelf the longest. I enjoyed both very much and feel so accomplished to have now read them. P.S. We are both currently reading the same book. Wow, I've actually read them all. Too bad we don't share a brain, then you could mark them as read. ;-) The only one I'd recommend is Ethan Frome, although it won't be giving you the warm fuzzies. Angela's Ashes is sooo good! I think some Jodi Picoult books qualify as being on my TBR list longest, too. Ugh Angela's Ashes. :) I struggled through it too many times and eventually did finish. Got read of 'Tis recently because I just can't go there again. Ethan Frome is short, though--and very good. I read it for a readathon many moons ago.